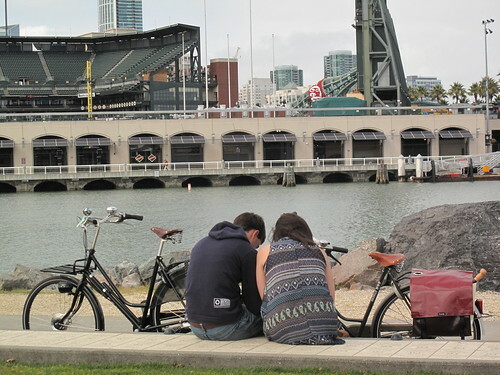 Welcome, dear readers, to our new series - This is San Francisco. Just like that book from the 50s. Only revised and improvised for the new decade. 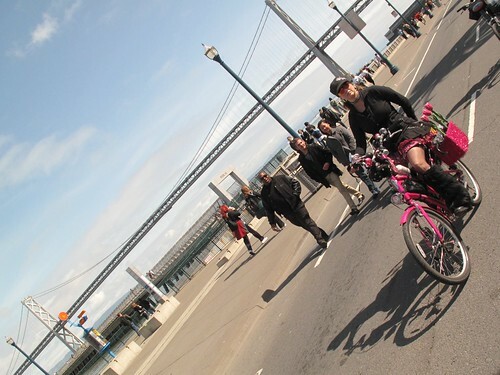 Seen from two wheels by a handful of your favorite bike bloggers - moi, Ramona, Adrienne and Melyssa. 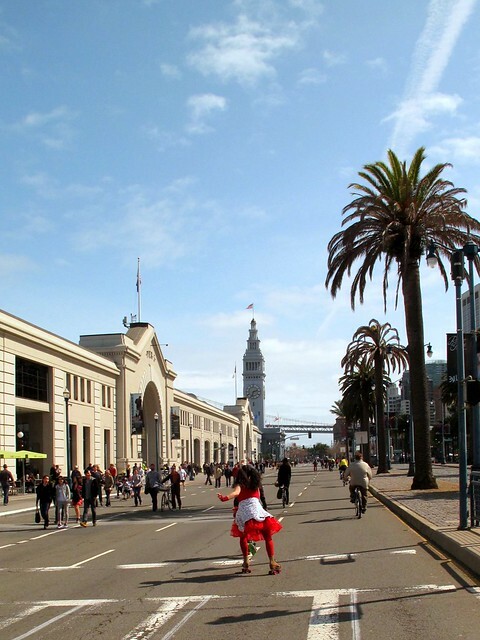 My first installment is The Embarcadero - the strip of boulevard that hugs the San Francisco Bay on the eastern side of our beautiful city. Sunday Streets 2012 started off here, and so, away we go! The Ferry Building - one of SF's many iconic landmarks. Home of the 2010 World Series Champs - The San Francisco Giants. 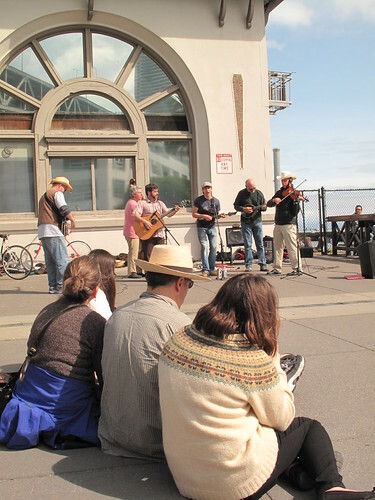 On days like Sunday Streets, or even at any given Farmers' Market here, you should be able to catch some live music from a local band. So take the load off and give a listen. And you can catch views of both bridges that connect San Francisco to the North and to the East. Feeling a bit tired? 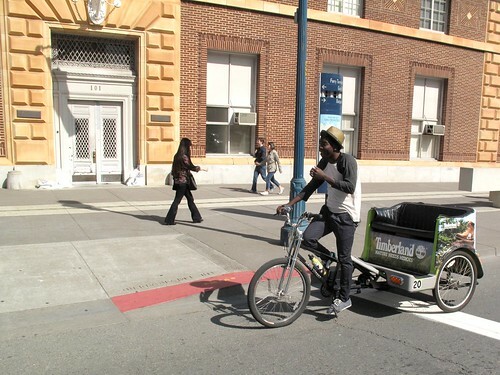 No worries, pedicabs came to The Embarcadero a few years ago, and they're here to stay. Need a pick me up? Tcho to the rescue! SF's very own chocolatier. 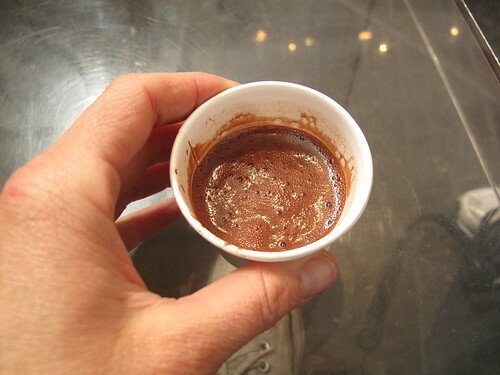 Get yourself a "Tcho shot" - pure molten dark chocolate goodness. 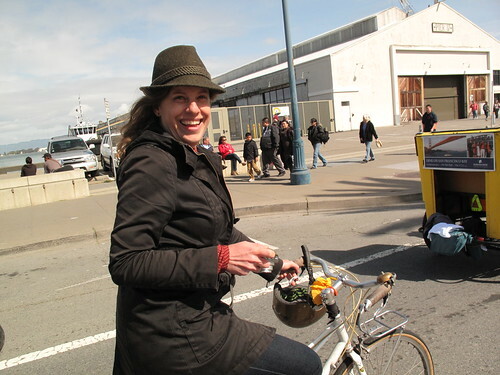 That should be just the jolt to get you back on your bike and enjoying the sunshine of one of the most beautiful streets of San Francisco. 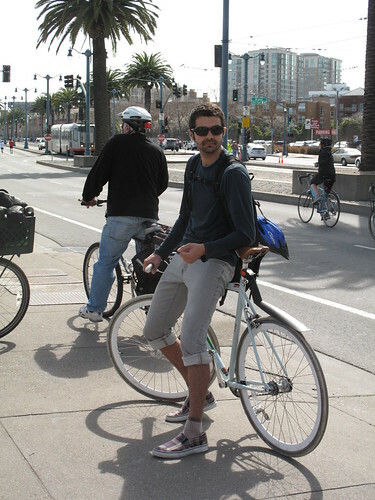 This has been San Francisco. Are there still parrots in the palm trees? Yes, indeed there are! They've even migrated to other neighborhoods across San Francisco. Wanna come over and borrow my chain whip? 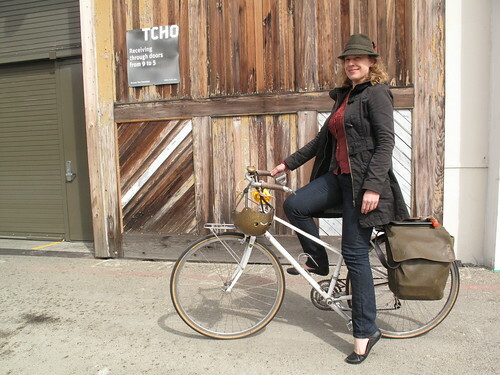 help the other Kristen meet her LifeCycle goal!